Please read each step in full, and refer to the images and animations that accompany them underneath. 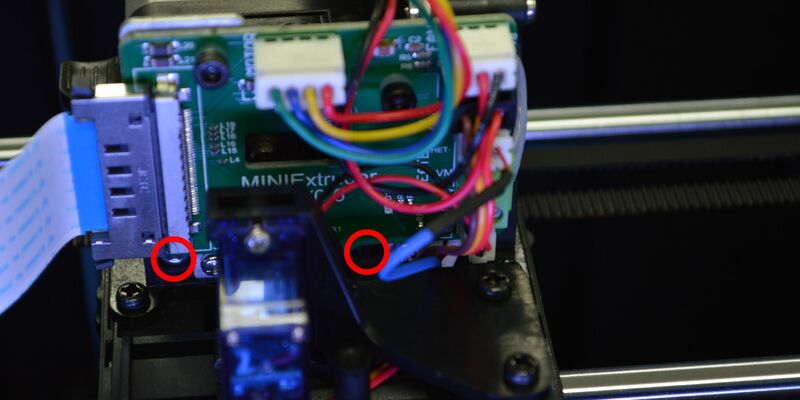 If you are having trouble getting filament to come out of the nozzle, this article will show you how to check and clear a clog in the extruder of the Inventor IIS. Begin, by turning OFF the print with the switch on the back. Temporarily remove the particle filter from the printer, by unplugging it from the USB port. Then unhook from the lid and set it aside. Next, you will need to remove the lid. Push in from the sides, and the back edge, and lift it up. 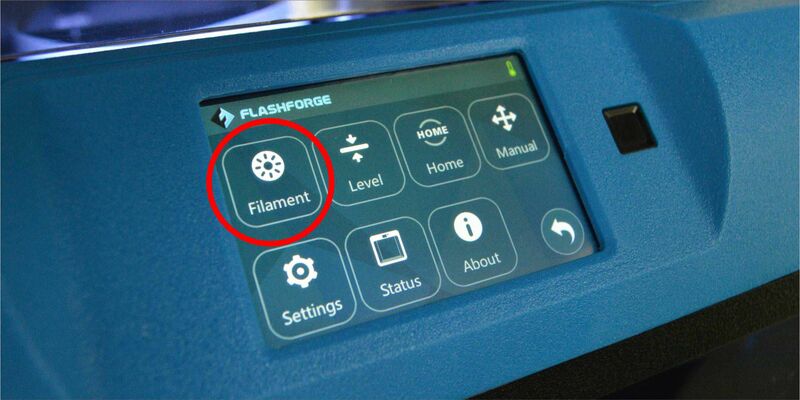 If you have filament loaded into the printer, you will need to remove it. 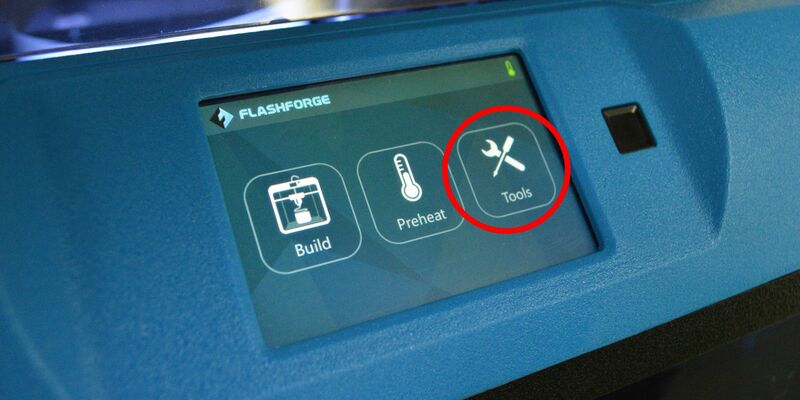 On screen, go to 'Tools' > 'Filament' > 'Unload' and give it a few moments to heat up. Once you hear and see the printer signal that it's at temperature, you can pull the black tube up and grip the filament. Then push down the spring lever and pull the filament out of the printer. Then simply tuck the filament tube out of the way. Next, using the larger of the included hexagonal keys, undo the three bolts on top of the extruder. TIP: Leave the bolts in, rather than taking them. Then they are harder to lose. NOTE: There may be a small amount of foam adhesive joining the flat, white ribbon cable to the extruder. You may remove this during the process. After removing the top cover, you first need to unplug the motor plug. Unhook the wire from under the metal plate, and wiggle the plug off the motor. After removing the top cover of the extruder, you need to undo the two bolts that hold the motor in place. TIP: Leave the bolts in place, and just loosen them. If you take them out, it can be difficult to put the back in. Next, slide the motor slightly backwards and lift it up. Note: If there is a large length of filament stuck in the extruder, it may be very stiff to remove. Inspect the front of the motor for any dust or pieces of filament that may be stuck. TIP: If you can't get any stuck pieces out, push some filament through and it should push broken pieces out. Now, turn your attention to the remaining parts of the extruder. Looking down from above, are there any obstructions in the inlet of the hotend? If so, try gently pulling them out. If they can't be pulled out, simply cut them off. At this point, we can re-assemble the extruder. Start by sitting the motor back where it was, and tightening the two bolts that hold it in place Note: You may need to wiggle the motor up and down slightly to align the bolt properly. Now, plug the motor back in, and tuck the wire underneath the metal plate. 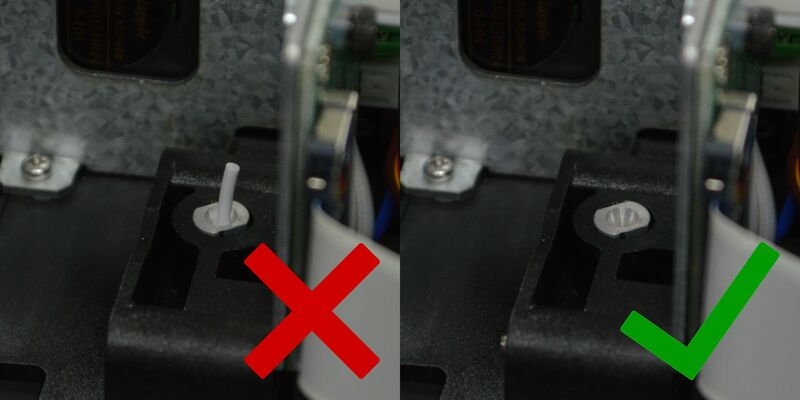 While holding the white ribbon cable out of the way, slide the extruder cover back on. You can then tighten the three bolts on top that hold it in place. 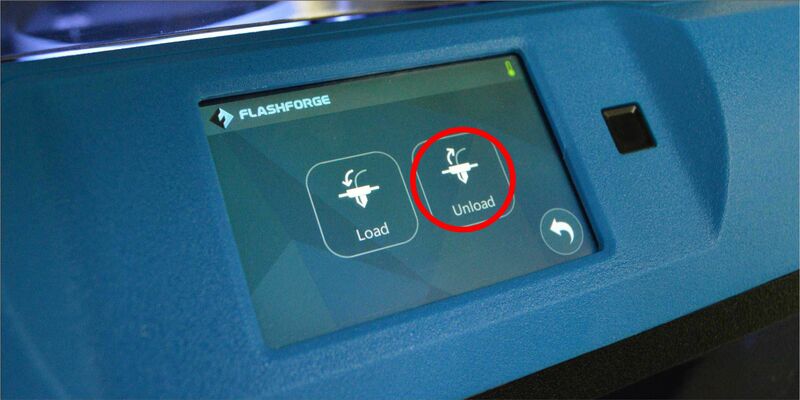 Turn the printer on, and re-load filament into the printer to check it is extruding correctly. If so, re-install the lid and particle filter.